amanoamano di Miria: Winter Wonderland DT : Butterflies ! Buongiorno, amici! Oggi è il mio turno per la sfida di Winter Wonderland. che ci ha gentilmente fornito delle immagini digitali. Per la mia card ho usato Fairy Fae che ho colorato con Kuretake Zig Art&Graphic Twins e Wink of Stella Brush. Per lo sfondo ho utilizzato diverse fustelle tra cui la TH edge Butterfly che ho spruzzato con Dylusion calypso teal. I tickets distressati sono Polka Doodles. Come abbellimenti ho aggiunto mezze perle e fiori e centrino Wild Orchid. Non dimenticate di visitare il blog per vedere le favolose creazioni del DT. Good morning, friends! Today's challenge at Winter Wonderland. is up to me, our theme is Butterflies. who gave us some digis to play with. I chose lovely Fairy Fae I coloured with Kuretake Zig Art&Graphic Twins and Wink of Stella Brush. 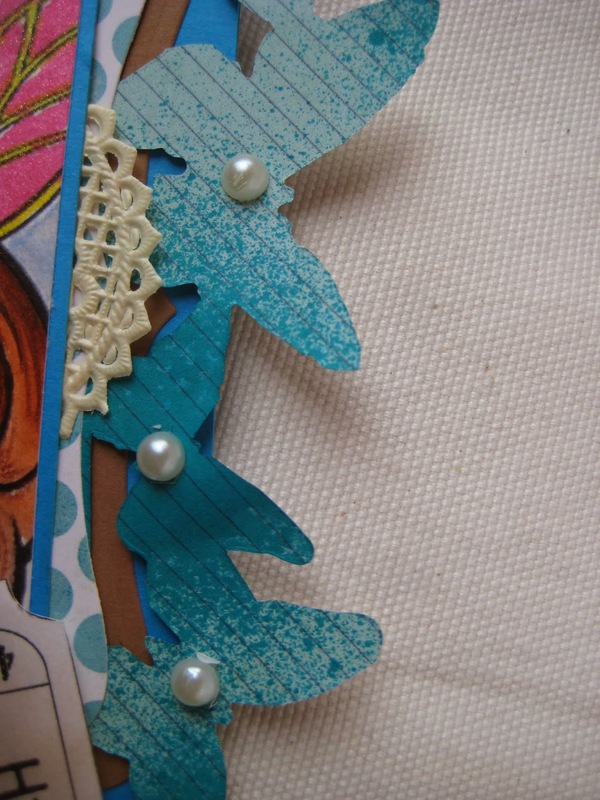 I used some Die cuts as a background; I sprayed the TH edge Butterfly with Dylusion calypso teal. The distressed tickets are from Polka Doodles. I added some Wild Orchid flowers and doily and half pearls as embellishments. 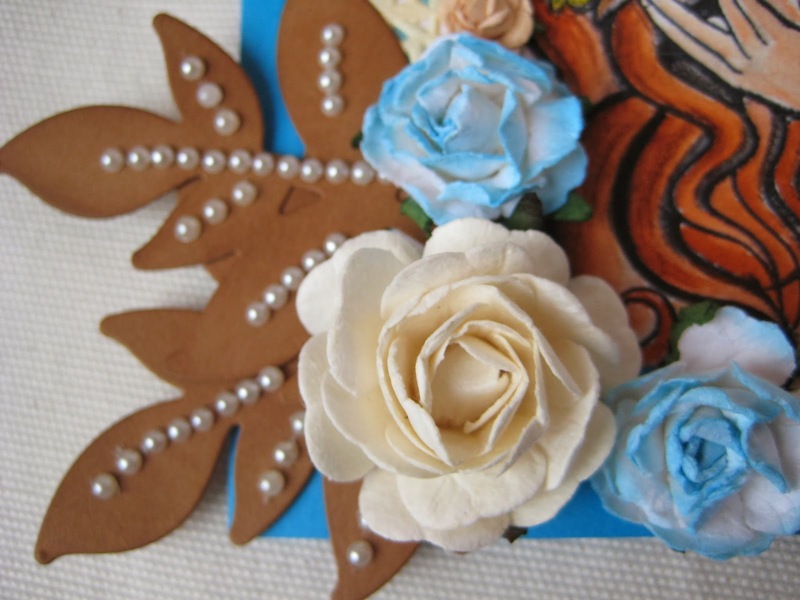 Don't forget to visit our blog to see the DT gorgeous creations. Marrone e celeste, un'associazione di colori che mi piace tantissimo! Molto belli anche i colori della timbrata, non li conosco proprio questi pennarelli. 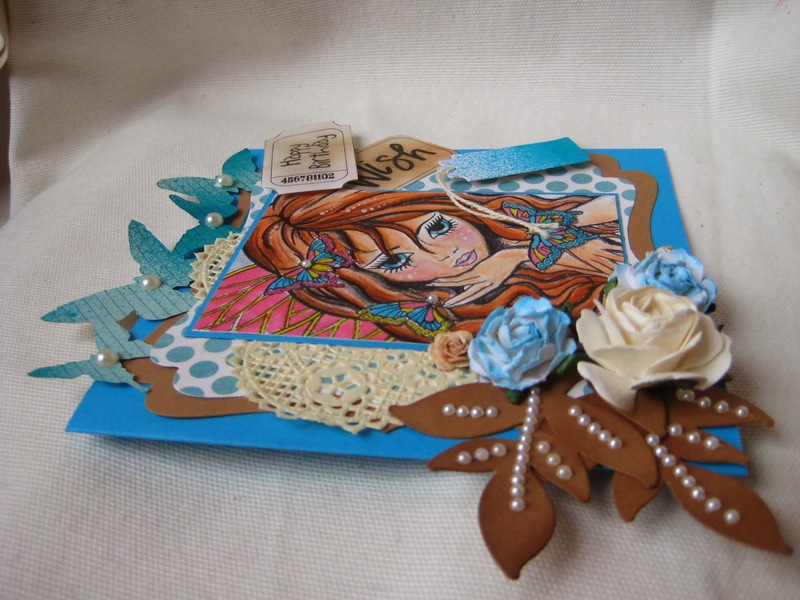 Lovely card and great colours,thank you for joining us at A Creative Romance. 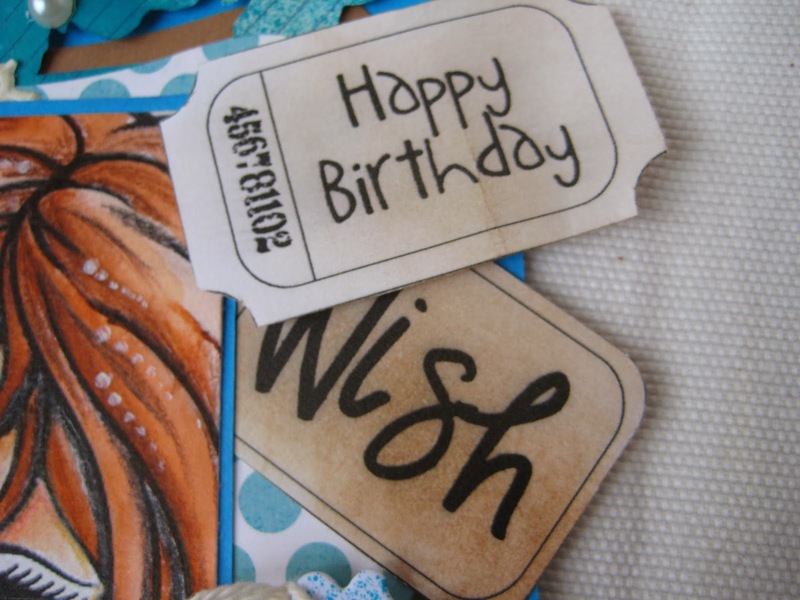 Thanks for joining in with us over at Feeling Crafty Challenge ~ good luck! This is gorgeous!! Love the colors and all the details. Unfortunately we are having a sketch challenge this time around and I'm not finding anything related to our sketch here. If you'd like to link up something that works around our Sketch please do so, http://yumifumihandmadecrafts.blogspot.com/2014/01/challenge-30sketch-5-by-leanne.html otherwise your project will not be eligible for the prize. 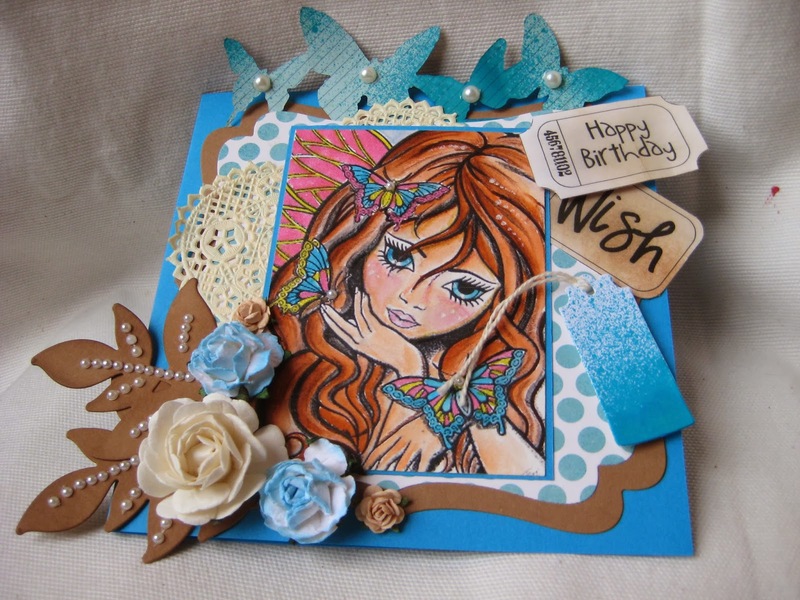 Stunning card Mira, beautifully coloured and I love the butterfly border . Wow wonderful card. Thanks for joining us at The Emerald Faeries, good luck and hope you will join us again. What a pretty card! Thanks for joining YFH!